Along with the beauty of the Maruyama River that cuts through the mountains and the rugged coast where the river leads you out to, come see and taste the wonders of the sea. You can follow the Maruyama River from Kinosaki and visit the riverfront park of Maruyamagawa Koen, up to the little beach town of Kehi, over and through a fishing town and port famous for its crab and fresh catches called Tsuiyama. Then finally up the coastal road and mountains to Hiyoriyama where you can have a close encounter with our sea life friends at Marine World. Growing up around the sea my friends and I gained an afinity with the sea and its inhabitants. I encourage you to stretch your legs beyond Kinosaki so that I can share this same love of the sea with you. Located on the cliffs overlooking the Japan Sea, Marine World first began as a fishing attraction where you could come and catch your own aji (a type of Japanese mackerel) and then have staff cook it up right there for you to eat. Although that attraction is still around, and little kids love it, we have expanded our facilities and number of marine residents. It is still considerably smaller than most major aquariums, but this is also one of our charms. Because of our smaller and more intimate settings, guests are able to interact closely with the staff and animals in our keeping. The “Dive”, a stage that lowers visitors into the center of one of our tanks, tide pool, and “dolphin touch” options let visitors interact closer with the marine life. Off the coast you can see a castle sitting on a small island. This is the mythical Ryugu-jo or Dragon Palace from the Japanese folklore of Urashima Taro. Locals believe that the area has ties with this story and so have built the castle out on the rocks. There is a mystical feel about it, especially when the fog rolls in around it. Right at opening or on a weekday. Get here early in the morning on the weekends or try to come on a weekday when crowds are small. This will give you chance to talk with the trainers, as they tend to have more time to brag about their little friends. The upside of arriving early is that you can also sign up for the backyard tours and other special encounters, like dolphin touch, before they sell out for the day. If your timing is really good and there isn’t a crowd, some trainers will give you a mini private show, as long as their friends feel up to it. For visitors staying in Kinosaki Onsen, don’t be afraid to wander outside of the hot spring village. There are all kinds of hidden scenic spots just a short bike ride or walk away. If you head north along the big river, Maruyama, you will find Maruyamagawa Park, Kehi Beach, and Tsuiyama before heading up the hill to Marine World. Maruyamagawa Park is a nature school, art museum and athletic park. Here you can enjoy swimming in the outdoor public pool in the summer and then in the winter they turn the pool into an ice-skating rink. 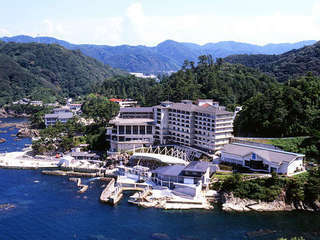 Kehi Beach is the closest swimming beach and camp site to Kinosaki Onsen. It is less known than Takeno Beach, but that makes it less crowded during the beach season. Here you can also camp along the shore and BBQ (Kehi being one of the few beaches in the area that lets you do so). Further up just before Hiyoriyama, the location of Marine World, is Tsuiyama Fishing Port and town. 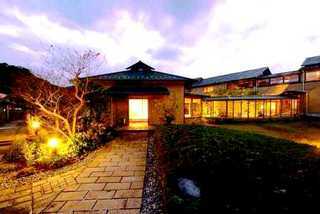 This is where the majority of the fish and crabs that you probably get to enjoy at your ryokan in Kinosaki comes from. The town is older and has a classic feel. Very little traffic makes walking the narrow streets easier. If you go early in the morning, you might be able to spot the local fishermen offloading their daily catch and auctioning it off to the local ryokan.